A month of football, 64 games across 12 stadiums, let the bonanza begin. Russia hosts the 2018 FIFA World Cup, a tournament which will be watched by millions across the globe. Not only watched but analysed, studied, discussed and watched again across many different platforms. World Cup fever is gripping the world and Unibet does not want to be left behind according to their latest news regarding the single largest sporting event in the world. The tournament starts in Russia on 14 June 2018. BBC debuts the World Cup 2018 live coverage in virtual reality. Fans across the world now have a chance of experiencing all 33 matches of the 2018 World Cup as if they are in the Russian stadiums. This is good news for millions of the World Cup fans in the United Kingdom as they will watch the matches as though they are in the stadiums. Fans will be able to catch all matches at the comfort of an executive box, on the best seats in the stadiums where the matches will be held. Bwin is an online betting platform that not only allows one to bet but also provides many prizes to be won. Currently, there is the prize pool for Maradona’s millions which is £5 million. 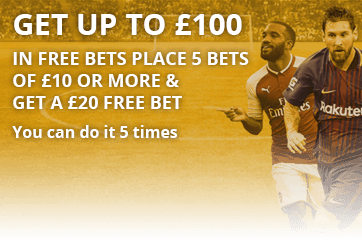 For those looking to test their advanced football knowledge, or maybe just their incredible luck, BetStars has a one-time offer valid from May 1st until June 13th. In what seems to be their largest prize yet, the website has a reward of $100 million to the person that successfully predicts the result of every match in the forthcoming 2018 World Cup in Russia. 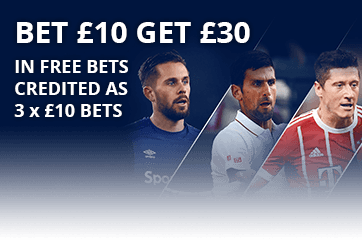 This betting extravaganza is custom made based on the 2018 World Cup in Russia. Its working assumptions are the correct prediction of winners in specific categories throughout the stages of the tournament. Following a two year trial period FIFA has announced that the Video Assistant Referee (VAR) will be in use at the 2018 World Cup in Russia with reviewed Incidents shown on big screens.